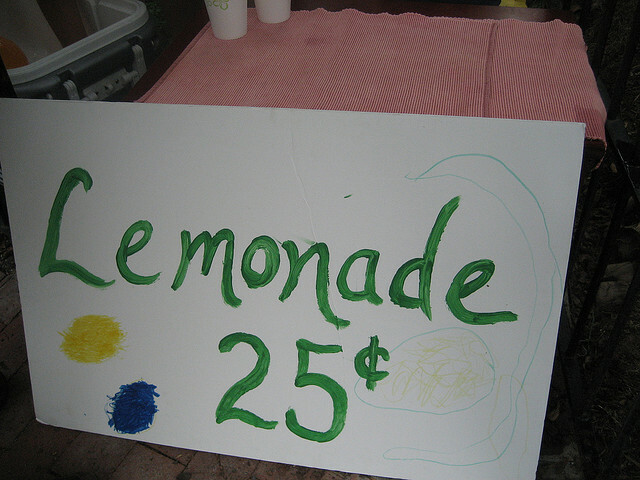 Lemonade Day teaches kids how to be entrepreneurs. Talk about a win-win. If you haven’t yet heard of Lemonade Day, it’s time to stand up and take notice. Celebrated nationally on the first Sunday in May, Lemonade Day teaches kids how to start, own and operate a business, Central Indiana Lemonade Director Jami Marsh told The Indianapolis Star. Young entrepreneurs raise money for charity by selling lemonade at various locations throughout the state. An estimated $500,000 was raised because of their efforts. An unreal number. Each child who registered online received a backpack and information on how to start a business. Kids had to decide on posters, supplies they would use, whether to have a slogan, a lemonade recipe, selling price and where the proceeds would go. This is a fantastic idea for so many reasons. One, it teaches kids who may have never considered business as a career that it is a viable option — and it teaches them that it can be fun. Secondly, it has a charity component, which illustrates the importance of giving back to the community. I think that once these students begin to comprehend what a huge impact they’re making, it will really open their eyes. 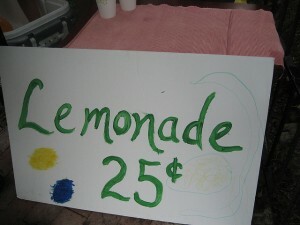 In 2010, about 7,400 kids participated in Lemonade Day Indianapolis, with each stand grossing an average of $100. Those young entrepreneurs gave an average of $37 — or a total of about $275,000 — to their favorite charities. So if your business or organization has been looking for a meaningful way to give back to the Central Indiana community, Lemonade Day is always looking for partners to support this life-changing program. For more information, check out lemonadeday.org.